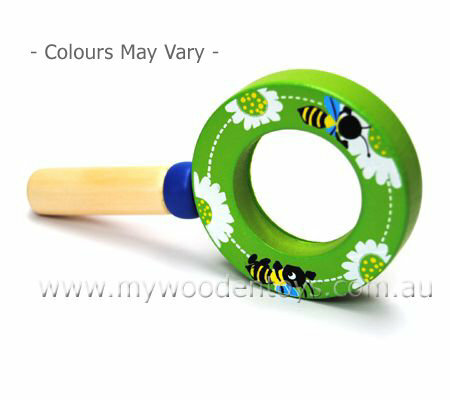 This magnifying glass is decorated with an insect theme and has a natural wood handle. The lens is perspex and has a very satisfying amount of magnification. Size: length 12cm. Lens diameter 3.5cm. Lens diameter with frame 6.5cm. Material: Wood childsafe paint, perspex lens. We like this because: "A great way to examine things. "